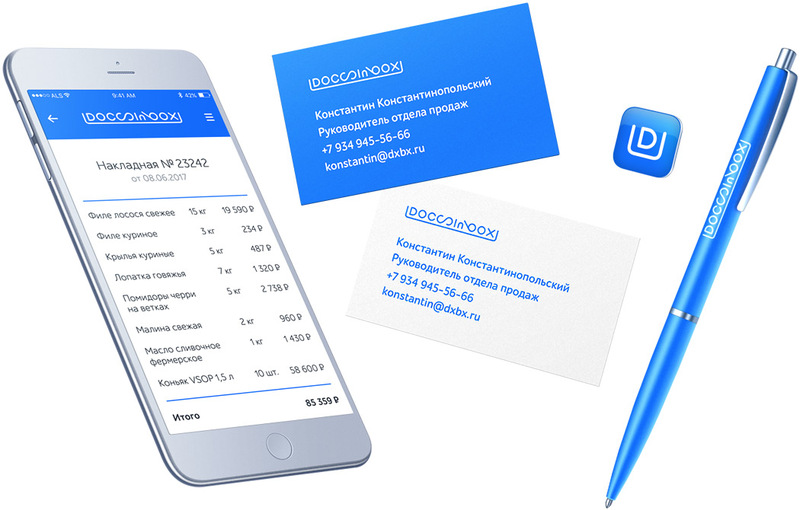 to create a logo for an electronic invoice exchange service. Docs in Box helps restaurants and suppliers process and record documents related to purchasing kitchen stuff and alcoholic beverages. A practical logo emphasizing the purpose of the service and its ease of use was created at the studio. In addition to the primary logo, a one-line version was created as well as a shortened one that can be used as an icon.